I’m a massive fan of patterns. If I could, most things I own would have patterns. Polka dots and stripes make my heart a flutter. I remember as a child being so in love with my paisley doona cover. But sometimes, there can be an overload of patterns and patterns that shouldn’t really be put together, they just don’t do one another justice. The Victorians were onto something when they used to deck out entire rooms with pattern upon pattern. 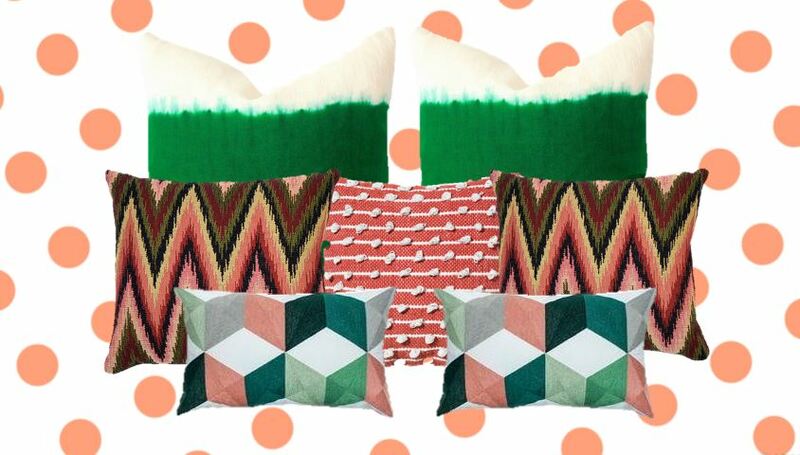 Nowadays, Jonathan Adler and Greg Natale are masters in combining patterns. There is an art on how to decorate with patterns – read on for my tips. Greg Natale working his magic. As in other areas of decorating, odd numbers are a good rule to go by. 3 or 5 is a good start. Within these patterns, try to keep the number of different colours to about 3. 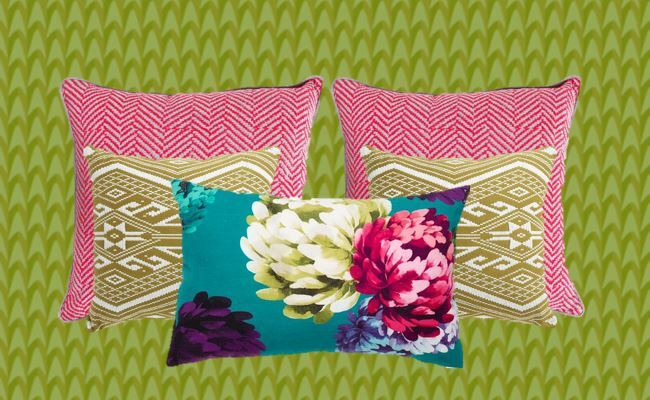 For example, you statement pattern is a blue based floral with green and pink accents. Add another pattern in the pink and another in blue, try not to add colours that aren’t already in the statement, otherwise it will just look like a hodge podge of patterns. If you’re using pastel tones in your patterns, don’t introduce vibrant, brighter colours, keep it consistent and vice versa. 3- How to decorate with patterns…consider scale and balance…. The art of combining patterns really comes down to the scale of the patterns and how to balance them. If all the patterns are similar scales, they will all just compete against one another and blend in. Using larger patterns on larger pieces with smaller scaled pattern on smaller pieces will work best. Consider the arrangement below. The blue lattice pattern is quite large. The coral pattern is large also, but the coral is very organic in style whereas the lattice is geometric and symmetrical so there are not competing. 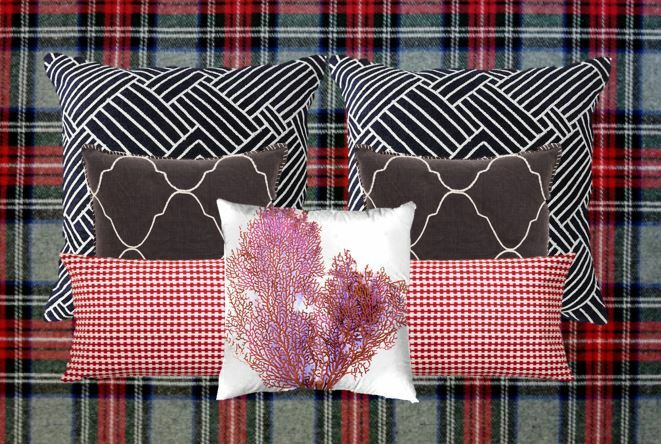 The bird cushions are similar to the coral, but as the colours are reversed, it works. 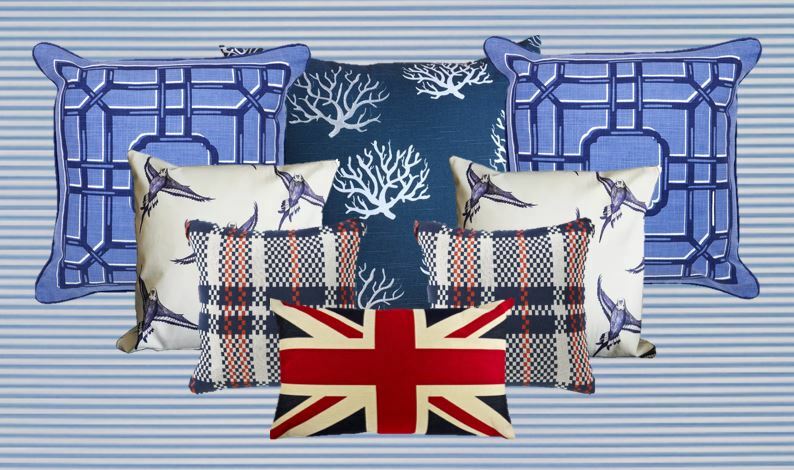 If you prefer a subtler interior scheme with neutrals you can still have fun with patterns. 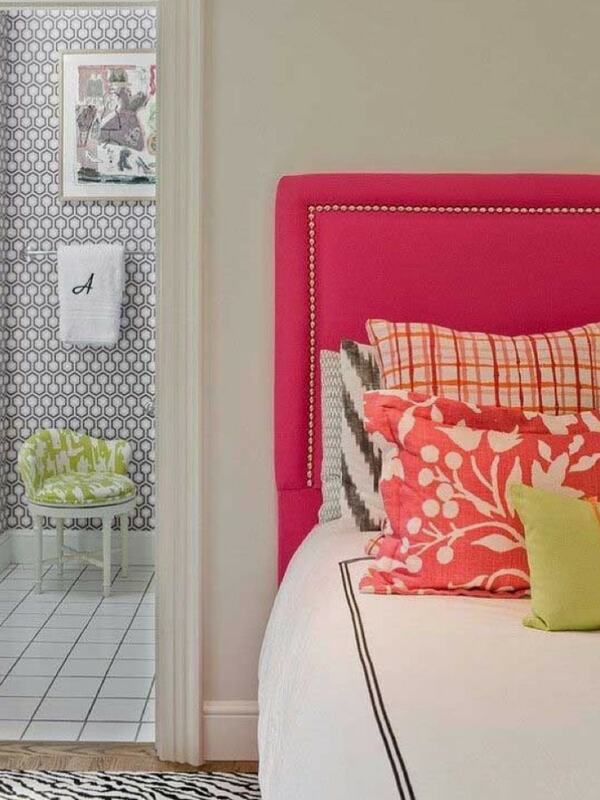 Stick to a monochromatic colour scheme but apply the same principles with the scale, size and balance of patterns. I’ve shown examples here with cushions, but the same principles can be applied to other items within the interior such as wallpaper, floor rugs, artwork and even patterned pieces of furniture. 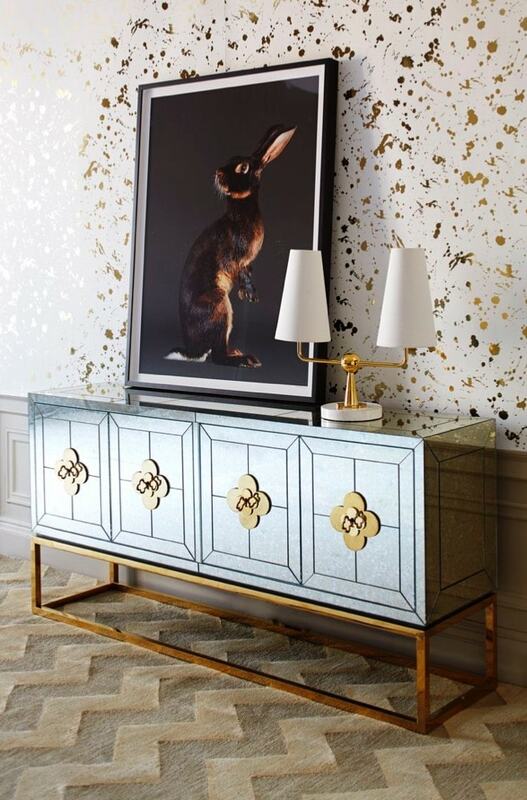 Another area where patterns can exist are with panelling on walls or detailing on furniture – see Jonathan Adler’s example below with the combination of patterned wallpaper, decorative buffet, and floor rug. All items are perfectly balanced with different styles and scales (organic and geometric). 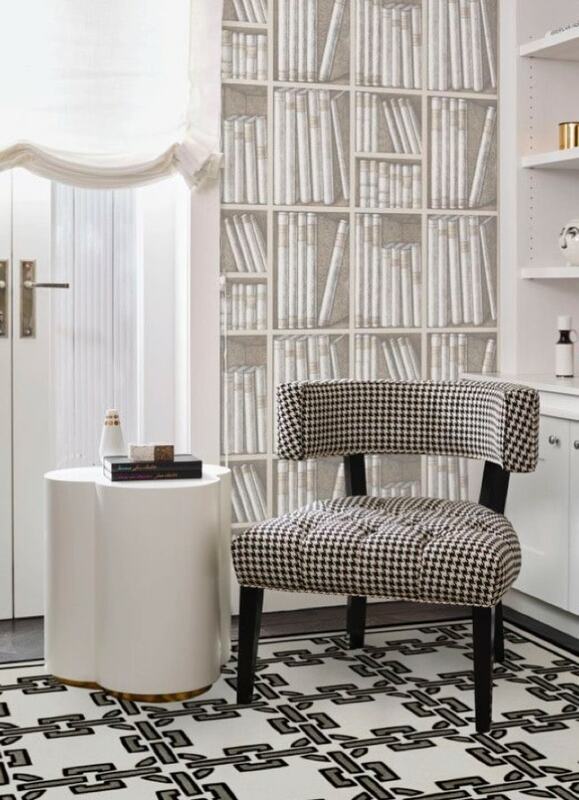 Jonathan Adler combining patterns and textures.